Are you looking for the most reliable EPOS systems Hampshire has to offer? Then look no further than CCM, a specialist in touchscreen point of sale systems that will suit all of your business needs. Call us today on 01202 302 666 for more information or to book a free consultation. Here at CCM EPOS, we are committed to providing businesses with the best EPOS system Hampshire has available. Our systems have developed a large following over the years due to their reliability and the great support services we provide to our clients. Why choose us for your EPOS systems in Hampshire? All of our EPOS systems Hampshire have a simple interface and are very easy to use. We also guarantee great value prices. CCM EPOS is the only company that also offers the option to rent or lease our point of sales systems if a full purchase is not a suitable option for you at the moment. When you work in hospitality, it’s very important to have a fast server and an easy to use interface for your point of sale system. 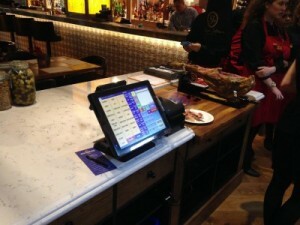 We have supplied EPOS systems to the hospitality sector for over ten years. Our system will increase the efficiency of your service and the profitability of your business. We have implemented all the actions a business requires from simple till transactions to more sophisticated product breakdowns. Additional features like voids, discounts, and no sale requests are also available. For a full technical overview and a list of key and optional features, check out the hospitality EPOS section of our website. The CCM Retail EPOS is suitable for a wide variety of different businesses from small local shops to garden centres to larger mixed retail environments. The system has an accessible navigation touch screen that is easy to use and simplified. This will enable you to save valuable time when training new staff members. Our system is straightforward and has remedied any difficulties a user might have previously had in tracking product sales and managing cash taking. Changing transactions and making additions to existing ones has never been easier with our quickly modifiable navigation layout. To see all of the features of our retail system as well as optional add-ons, check out the retail EPOS section of our website. CCM EPOS originally started out manufacturing cash registers. We have now become a modern company specialising in modern EPOS systems in Hampshire. We are a dedicated team of professionals who have become known for our excellent customer service skills as well as our unparalleled after sales support. Our EPOS systems in Hampshire have been tried and tested and have become the number one choice for small and medium businesses. Some local companies who use a CCM touchscreen point of sale system include BH Live, Bournemouth International Centre, Bournemouth Pavilion, Hive Beach Cafe, Queen Elizabeth Olympic Park, Le Bateau, Lighthouse Poole, and many more. At CCM EPOS, we understand that all business purchases must be carefully considered and well thought out. This is why we provide a free consultation service with no strings attached. Get in touch with us and let us know the kind of Hampshire EPOS systems you’re looking for. We will arrange for one our professional team members to meet you and take you through all of the system’s benefits and features. There is no obligation to commit at this stage – it’s simply an advisory consultation that enables us to provide you with information and advice that’s specific to the needs and requirements of your business. To see a full overview of one of our successful EPOS systems Hampshire projects, check out some of the case studies on our website. These studies outline the installment process from start to finish explaining the client’s initial requirements and our solutions to their needs. We also maintain a blog and a news section on our website to keep you up to date about ongoing work. For more information about our Hampshire EPOS systems or to book your free consultation, don’t hesitate to call us on 01202 302 666. You can also contact us by filling out the form on our website – a team member will be in touch with you shortly to assist with your enquiry.